If there are extra costs for Fife Council in taking cleanup action on a problem that the Scottish Environmental Protection Agency (SEPA) found was of the MoD’s making, this could potentially have an impact on public services for people in Fife and this has lead to an angry reaction from the SNP MSP. Ms Ewing commented: “This letter is just the latest in a series of insults to people in Fife from the MoD. The UK Government’s attitude on Dalgety Bay has been nothing short of disgraceful. 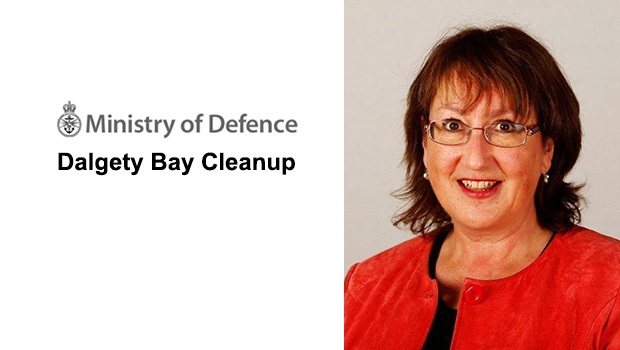 People from across Fife will be wondering why the UK Government thinks that council funds – which should be spent on vital local services – should be spent clearing up the MoD’s mess.